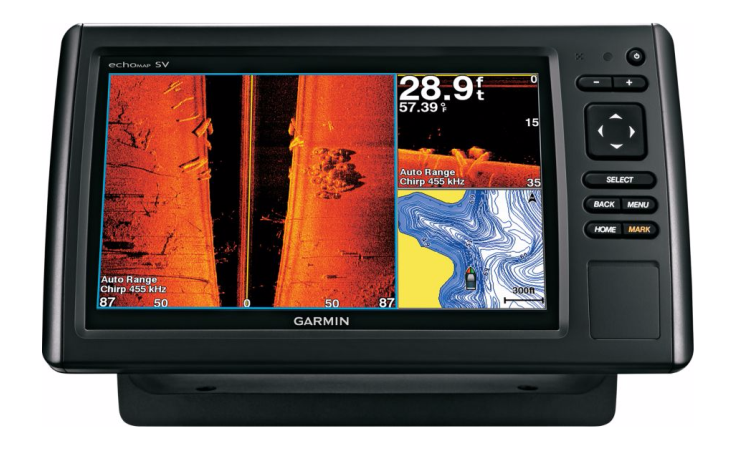 The echoMAP CHIRP series of fish finders from Garmin offers DownVü and SideVü imaging and GPS mapping combos that fit any boat, as well as budget. 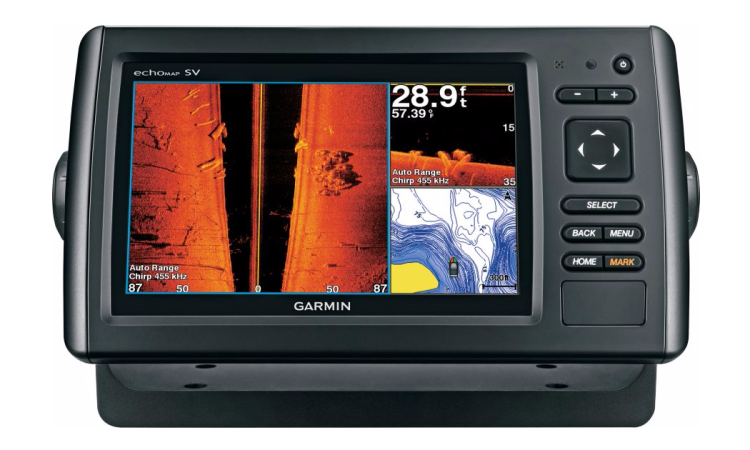 The 43cv, 53cv, 73cv and 73sv, 93sv models all share the same sonar and mapping technology, with increasingly larger screens, respectively. 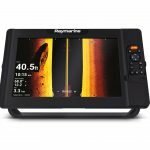 The other good news is the echoMAP CHIRP series of fish finders are becoming known as some of the easiest units to operate today. 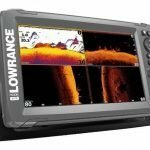 After doing research and review of the specs it’s clear these depth finders are a worthy challenger to the comparable units from Lowrance and Humminbird. If you like to fish structure and get realistic views of the lake bottom, then one of the 43cv, 53cv, and 73cv with ClearVü, or 73sv and 93sv with SideVü would be a great advantage to your fishing. 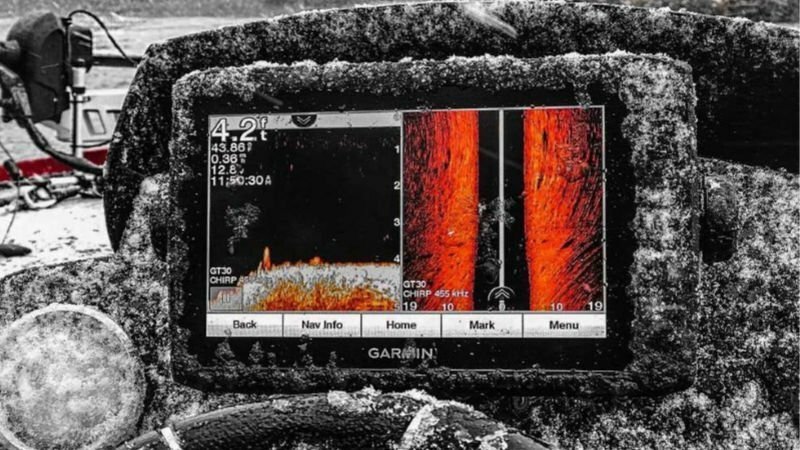 CHIRP Sonar: Garmin has added the CHIRP sonar to all the echoMAP series, following the lead started by Lowrance. 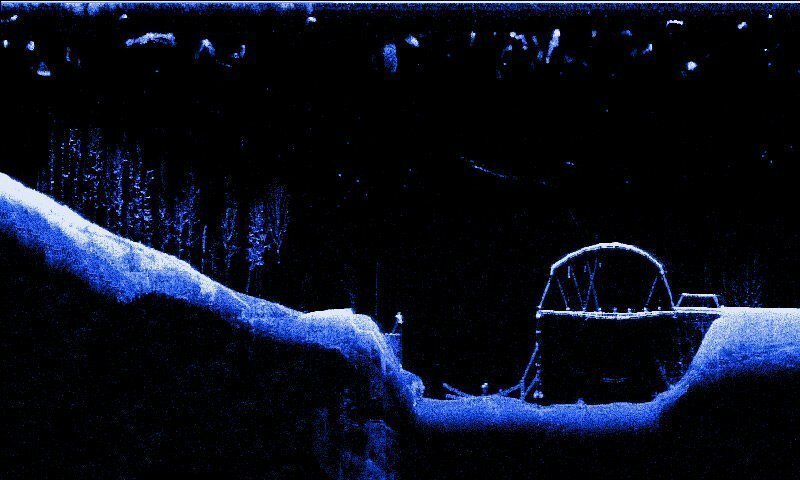 The built in CHIRP operates at all Low/Medium/High ranges in the 2D, Down, and Side scanning sonars modes to supposedly increase clarity and target separation in the images. 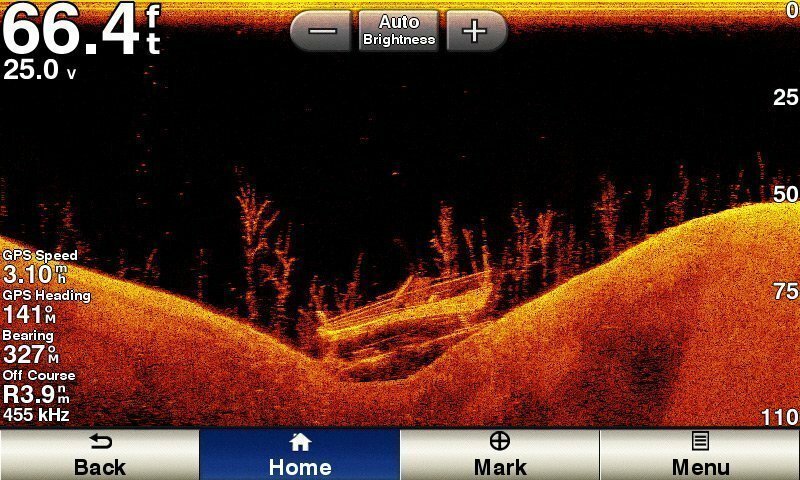 If you fish deeper, clearer waters, this technology can make a difference in what you see. Bottom hugging fish may become easier to spot, and baitfish can turn from a cloud into individual fish. 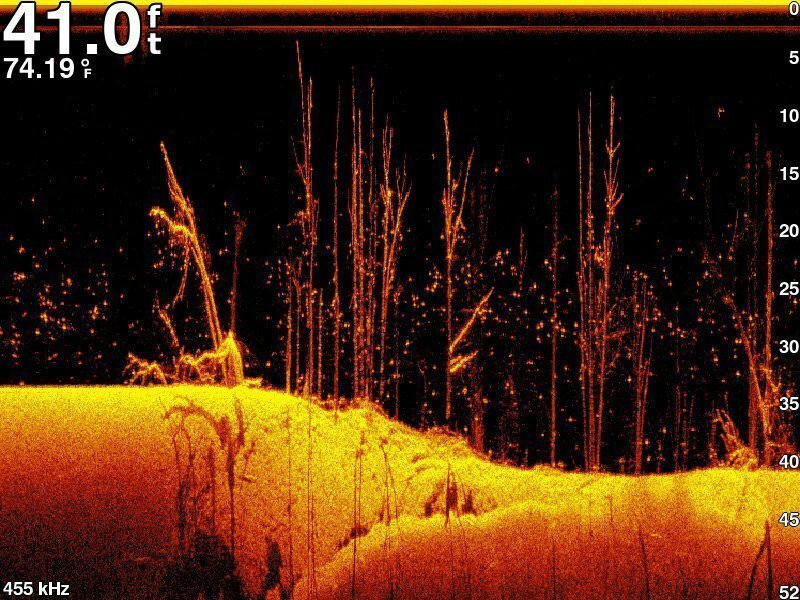 ClearVü Imaging: Garmin has developed an excellent down scanning sonar that creates superb imagery of the lake bottom and structure. 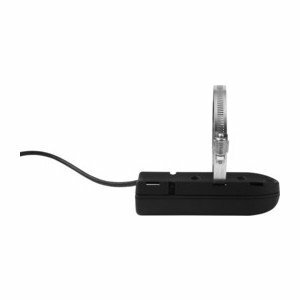 Each of these models comes bundled with the ClearVü capable transducer. 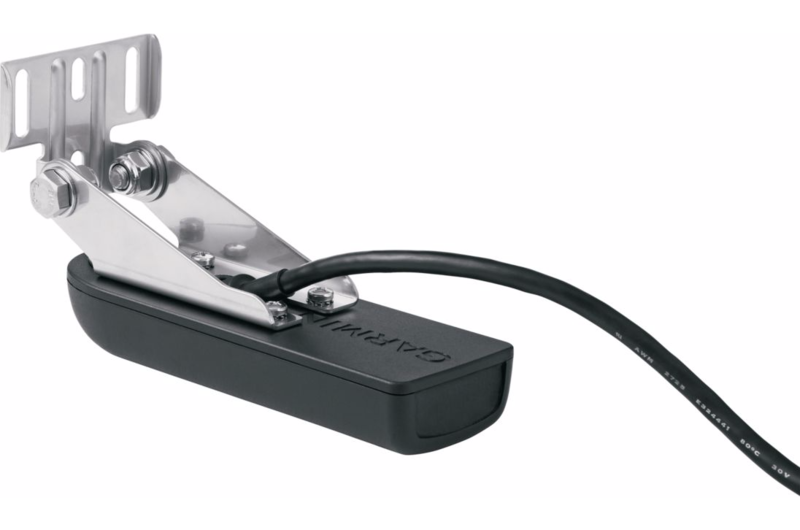 The GT22-TM transducer operates at 260/455/800 kHz in the imaging mode, and 50/77/200 kHz in the standard sonar mode. 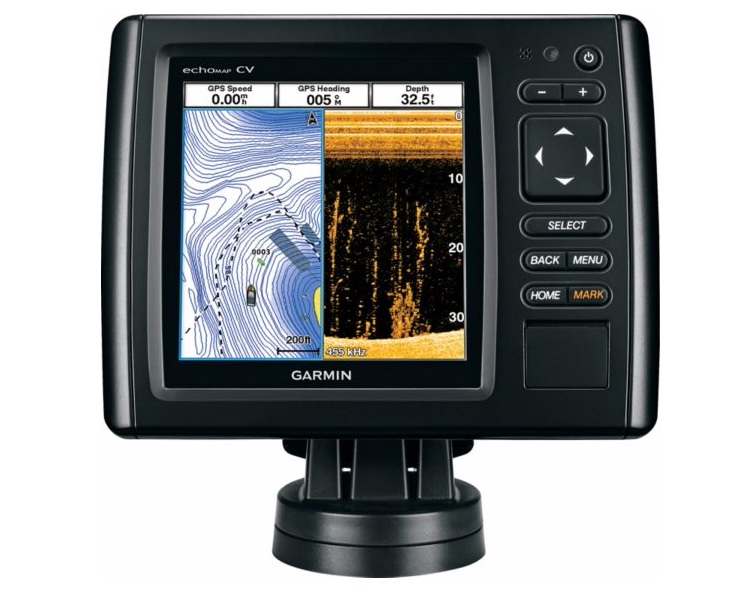 SideVü Imaging: Garmin’s GT52HW-TM SideVü transducer is packed with a lot of capabilities. 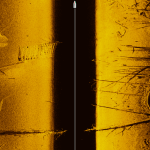 Not only do you get the Low/Med/High CHIRP sonar at 50/77/200 kHz, but you get the ClearVü and SideVü at the 260/455/800 kHz frequencies. 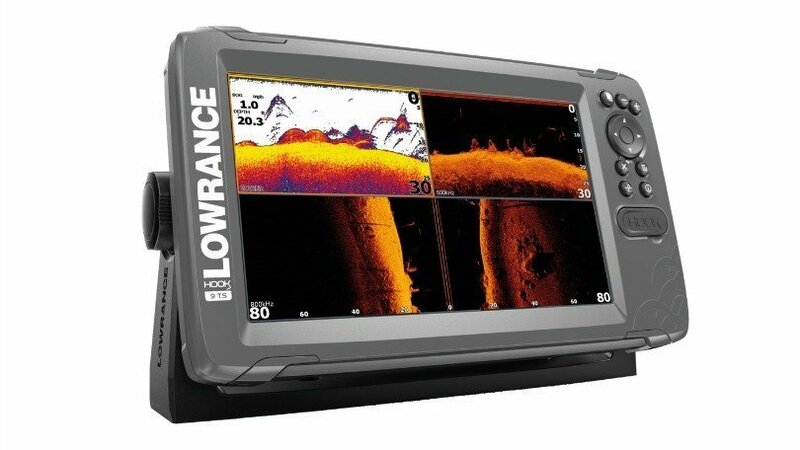 There are some very good competitive down imaging fish finders from Lowrance, Humminbird, and Garmin. 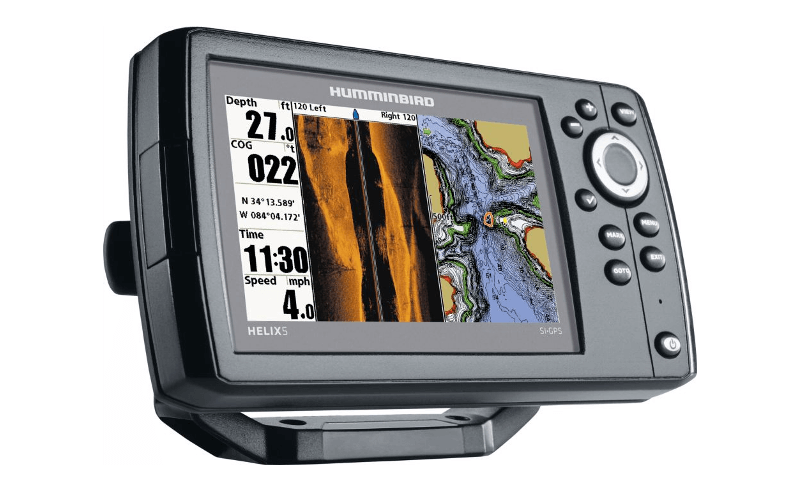 Read our review of those fish finder series below, or use our Fish Finder Comparison Tool to compare all the units side by side. 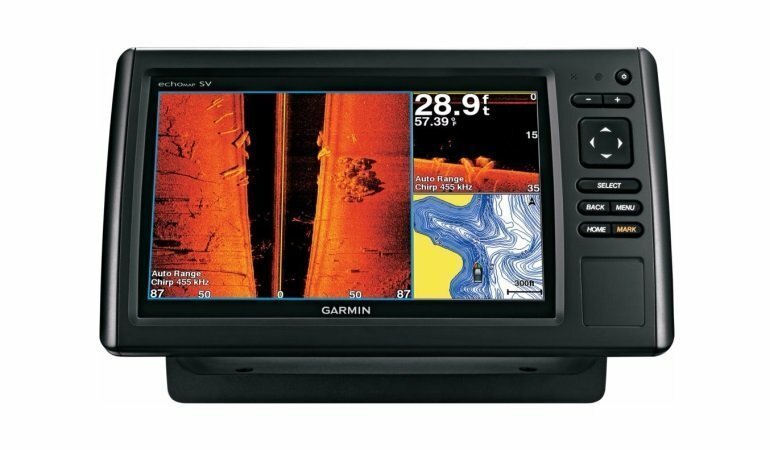 Transducers: Because Garmin includes both types of mounts, you are saved the added headache of purchasing the other mount if you need it. 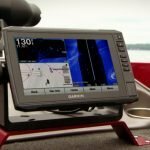 Garmin did a cool thing and includes hardware for mounting the GT20-TM ClearVü transducer on both the trolling motor and the transom. Take a look at the pictures, and you’ll see these is a little plastic plate that screws onto the transducer. 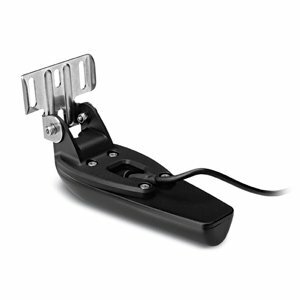 By swapping this out you can change from transom to trolling motor mount in minutes. 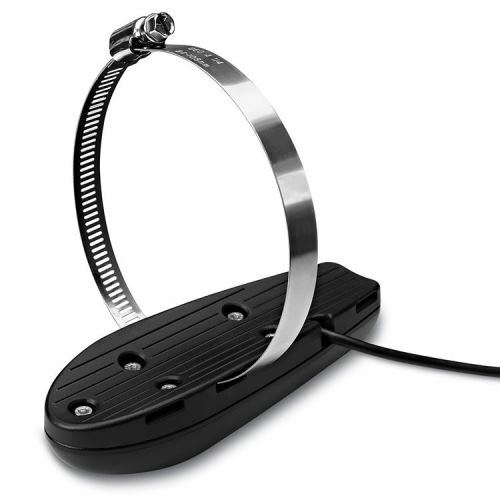 Now you don’t have to go out and buy extra mounts and hardware. 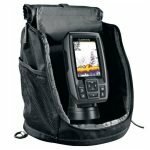 Bundled LakeVü HD Maps: Each of these fish finders comes with 17,000 preloaded lake maps, 5,700 of which have 1 foot contour lines. This is a great thing for anglers, as many times you need to go out and buy additional mapping cards that can cost upwards of $200 each. Upgradable Mapping: Now if for some reason the preloaded LakeVü maps aren’t enough for you, or you need additional bodies of water, then you have the ability to go out and get a LakeVü HD Ultra map card and use it in the lone microSD card slot that each unit has. Garmin Auto Guidance: The latest version 2.0 of this Garmin exclusive (and patented) app can calculate a precise course for you to safely navigate on unfamiliar waters. The program plots a path that avoids shallow water and other hazards. You can then customize the route yourself by inserting “via” waypoints at any time along the route trail. This is a super cool technology that most people aren’t even aware of! 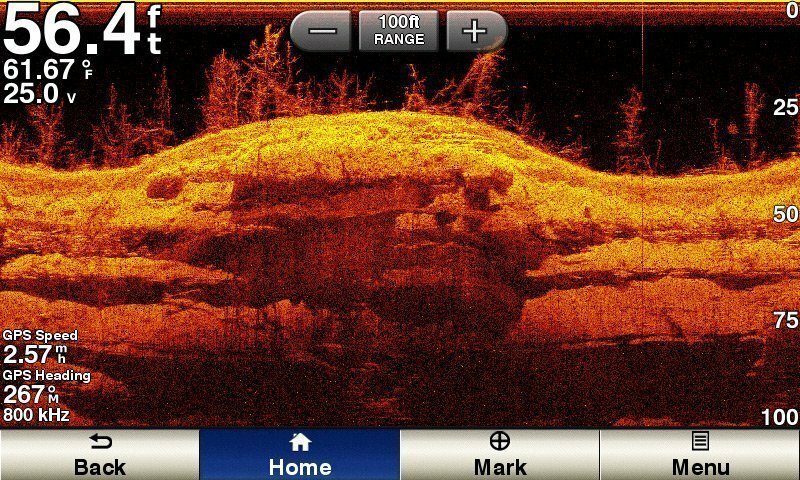 All echoMAP CHIRP fish finders are now capable of creating custom lake maps on the fly with the free Quickdraw™ Contours software. 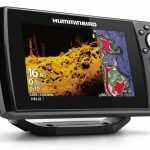 This is awesome news for anglers who fish smaller uncharter waters, or remote waters where no maps exist. 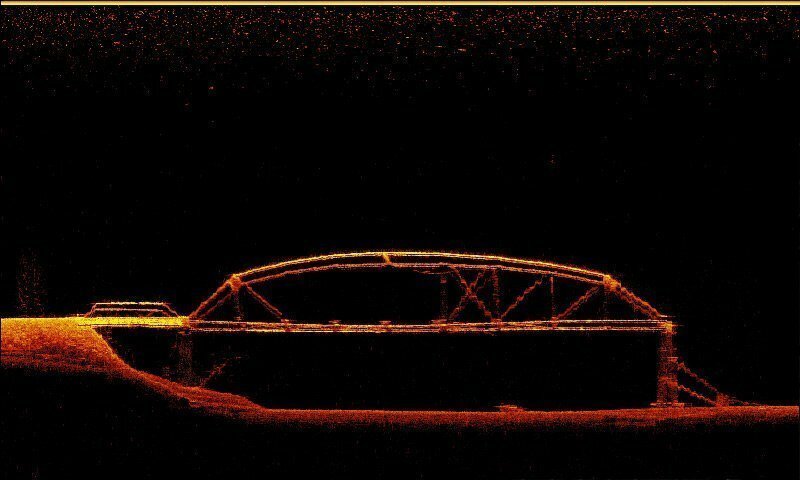 The dirty little secret in the fishing world is that the “HD” maps that you buy on memory cards are often not very accurate in some areas of the lakes and rivers. Having on demand mapping capabilities is a huge deal. Say you catch some fish in an area and want to know more about the lay of the land. Turn on Quickdraw and start idling around the spot and you will be surprised how different your custom map will look from the HD LakeVu map. The clarity of the Garmin ClearVü is really outstanding. The striking blue, green, and red-orange color palettes make it very easy for objects and bottom changes to stand out. Here are some ClearVü screenshots from the Garmin website. Should you Buy an echoMAP? 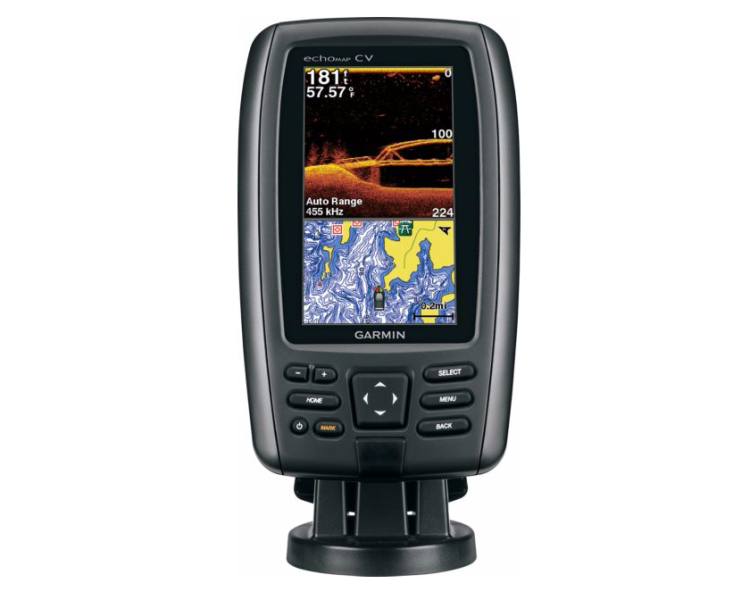 If you are looking for a clear scanning down imaging fish finder combo, the Garmin echoMAP CHIRP 43cv, 53cv, and 73cv are solid choices. The 43cv and 53cv would be great on a small boat or kayak. 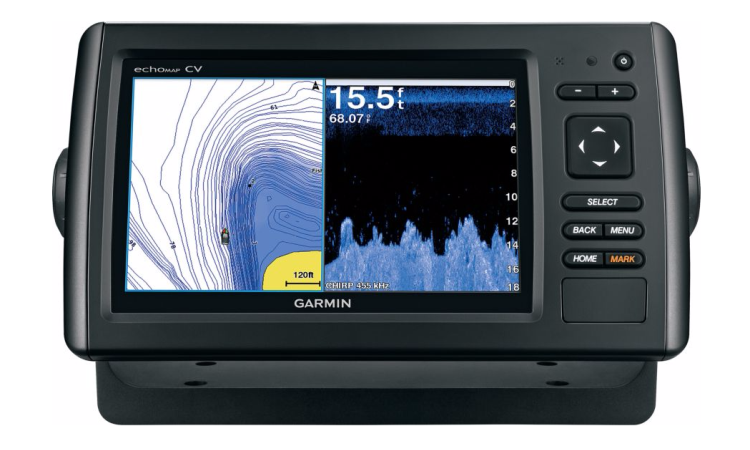 The 73cv would be great for anyone who wants just a little bigger screen to pick out the fish from the ClearVü imagery. 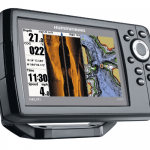 Add in the fact that each of these finders come packed with LakeVü HD maps, you basically save yourself the cost of a Navionics card leaving you money to buy new tackle.